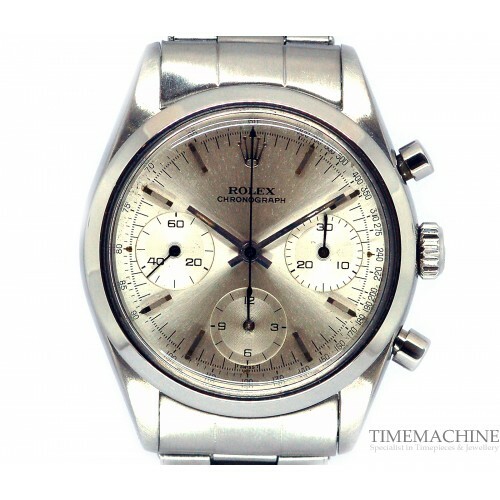 Pre owned, Extremely Collectible Rolex Pre - Daytona Chronograph 6238, 36mm stainless steel case with silver dial, plexiglass, stainless steel bracelet with deployment buckle and solid back. Complete Set, original box and TM certificate also carries 12 months Time Machine mechanical guarantee. Please Quote 4570 in all communications with us regarding this Timepiece. 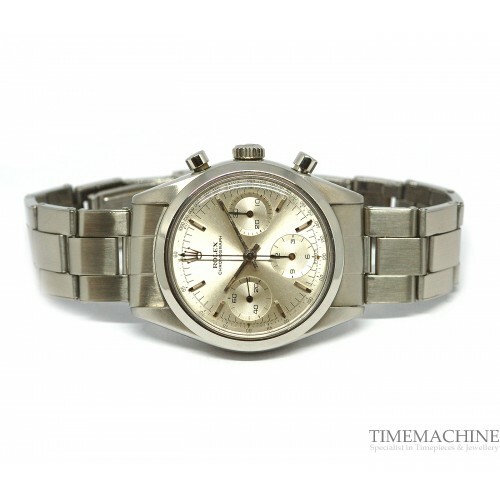 Father of the Daytona is the reference 6238, in particular the second series which is called Pre-Daytona by collectors. 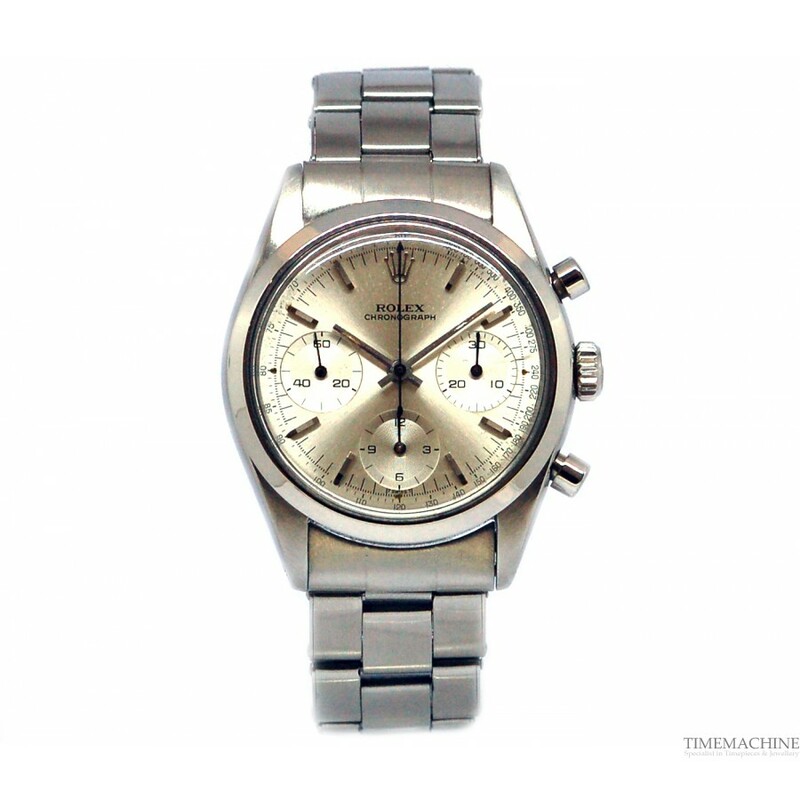 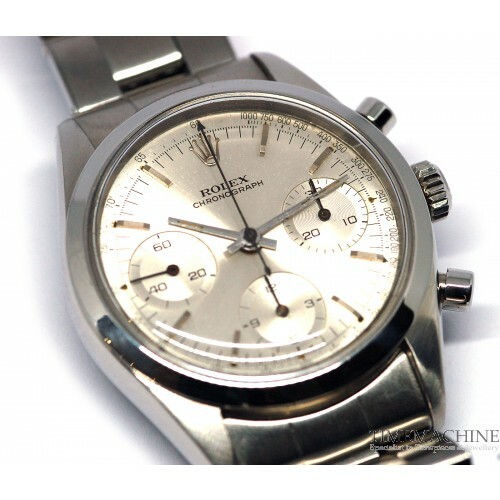 In fact, the first series of the reference 6238 was not significantly different from the ref. 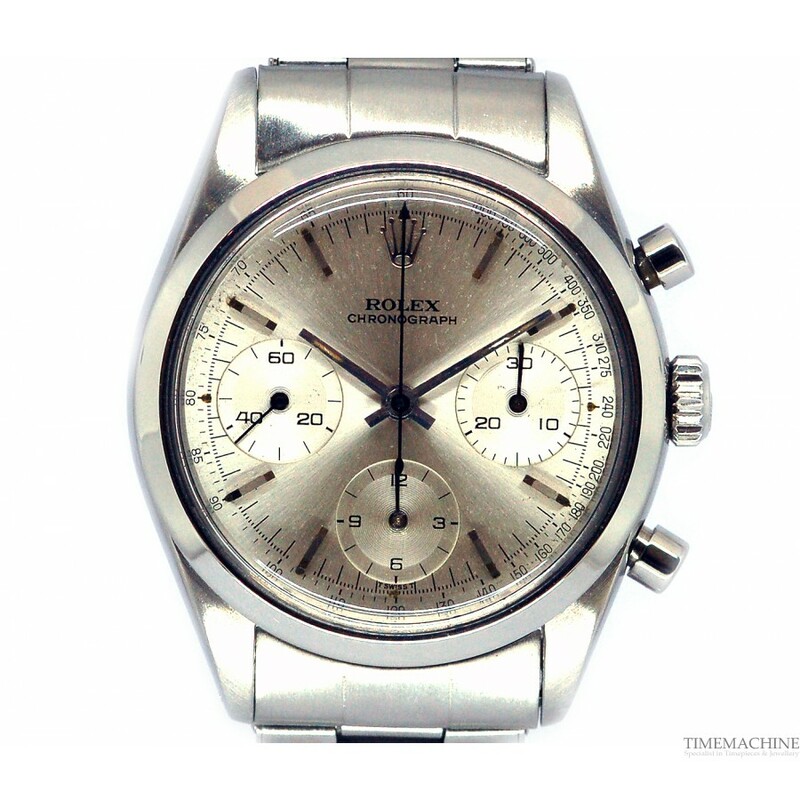 6234 but the second series made a jump introducing a more modern style adopting the baton hands, faceted hour markers and monochromatic dials (silver, black and ardoise). The telemeter scale was removed while the tachometer scale was still on the dial. 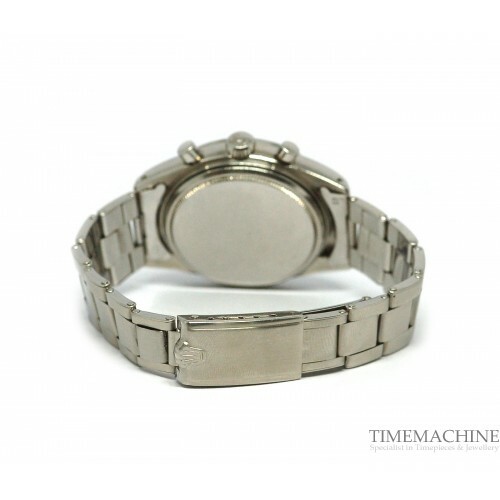 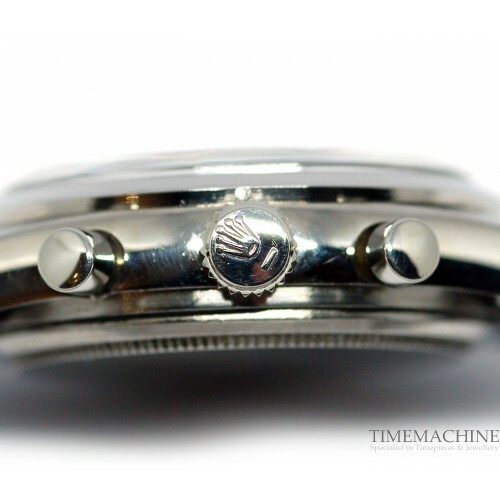 The bezel was smooth and polished with a case diameter of 37 mm. 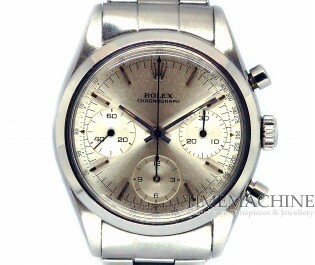 The Valjoux cailbre 72 chronograph movement was customised by Rolex and renamed 72 B, then 722 in the years 1965-1967.